4. It is available to develop the new items according to your design or artwork. Q3: What about the lead time for large production9 A: Honestly, it depends on your order qty. You can also choose the one which is the most convenient and effective for you. 2. 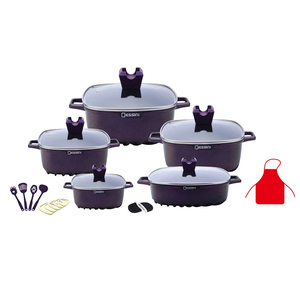 What is Top Cooker cookware made of9 Top Cookware is made of healthy aluminum alloy 3003. 3. 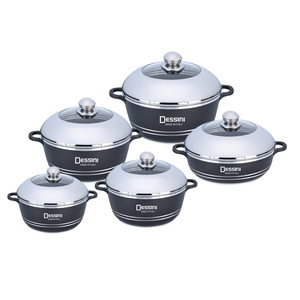 What is the history of Top Cooker cookware9 Top Cooker cookware is the white hair of aluminum cookware area in China for 11years. 5. 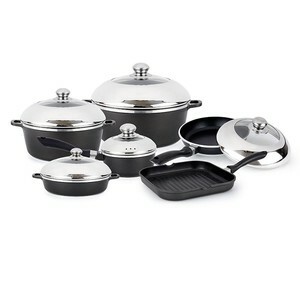 What should I look for in a nonstick or ceramic pots and pans set9 If you do a lot of low-fat cooking, you need nonstick or ceramic pots and pans you can really put through their paces. 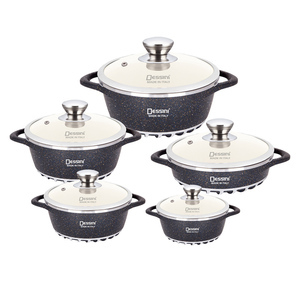 Think about investing in Top Cooker nonstick or ceramic cookware, which offers tremendous durability. : 675ED Material : inner carbon steel outer enamel coating Certificate : SGS size : 14/16/18/20/22cm N.W. 2.we have our own QC department to control the quality 3.we have our own freight company to do space booking and loading,commodity inspection & customs declaration making shipping document etc. 4.we also can be your purchase agent to accompanying place order, total quality control,cargo receiving etc. Warranty: Everything we produce are inspected by our professional team in-house. If you want to make some test or need Certification Report ,we can do it for you. Q:Transportation safety9 Can do drop test9 A:Make sure the products can safety to your destination port. 2- Toughen Glass cover ,perfect and wear well. 4- Non-stick coating for easy cleaning. 5- wood handle prevent to be heating.